SALEM, Ore. (AP) — Interior Secretary Ryan Zinke agreed to consider exempting Oregon from the Trump administration’s offshore drilling plan after speaking with Oregon Gov. Kate Brown, her office said Friday. Brown previously criticized Zinke for the plan to resume drilling for oil and gas off the shores of the United States, saying it would endanger Oregon’s coast. Zinke spokeswoman Heather Swift said Friday his office would provide no further information about the conversation with Brown. 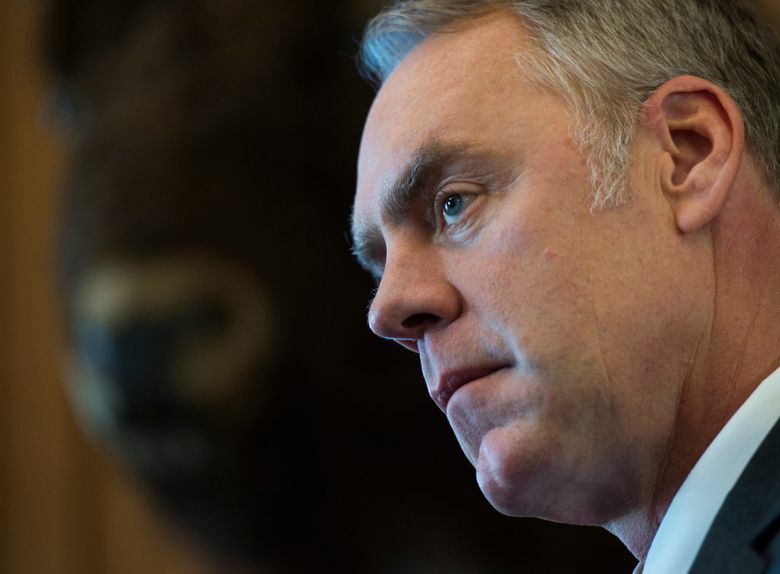 The Interior Department said earlier in the day that Zinke had set up calls with the governors of Rhode Island, Oregon, California, Washington, Delaware and North Carolina to get their input. Zinke and Brown, a Democrat, spoke for 28 minutes, said her spokesman, Bryan Hockaday. Brown, in an interview with CNN earlier this week, noted that Oregon’s 362-mile (583-kilometer) coastline have been publicly accessible for over 100 years and are important to the state’s economy, with 22,000 jobs on the coast. The governors of California and Washington have also told Interior they strongly oppose any new leasing off their coasts and asked to be removed from the plan. Washington state Gov. Jay Inslee said he spoke Friday with Zinke and reiterated his opposition to the offshore oil drilling proposal. In California, Gov. Jerry Brown’s office would not say what Zinke told Brown about offshore drilling during their 20-minute phone call on Friday. White House press secretary Sarah Sanders denied the administration gave special treatment to Florida Gov. Rick Scott, an ally of President Donald Trump who is considered a likely Senate candidate later this year. Industry groups praised the announcement to drill offshore, while environmental groups denounced the plan, saying it would harm America’s oceans, coastal economies, public health and marine life. The Trump administration’s plan would open 90 percent of the nation’s offshore reserves to development by private companies. It affects at least 22 coastal states and has drawn bipartisan opposition from 15 governors and support from six governors. One is undecided. Most Democrats oppose the plan. South Carolina Gov. Henry McMaster has also requested that his state be withdrawn from the plan. McMaster, one of Trump’s earliest supporters, told reporters that risks associated with drilling pose a serious threat to South Carolina’s lush coastline and $20 billion tourism industry.